It was announced today by producers Michael G. Wilson and Barbara Broccoli, Metro-Goldwyn-Mayer Inc. and Sony Pictures Entertainment, that Chris Cornell, the singer/songwriter behind Soundgarden, Audioslave and Temple of the Dog, has written, in collaboration with Bond composer David Arnold, and will perform the main title song entitled "You Know My Name," for the new James Bond adventure Casino Royale. 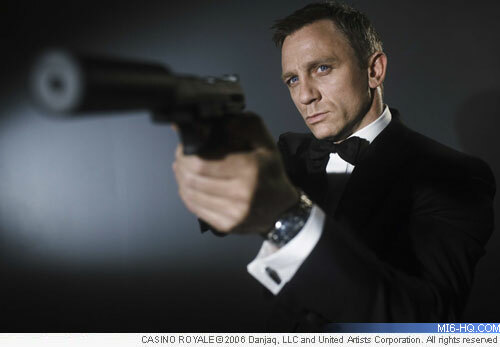 Daniel Craig stars as the new "007" in Casino Royale directed by Martin Campbell. The film will be released worldwide by Columbia Pictures on November 17, 2006. 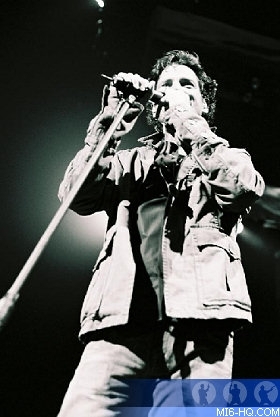 The acclaimed singer-songwriter, whose upcoming release with Audioslave marks the 11th album of his career, has also enjoyed success with the groups Soundgarden and Temple of the Dog, as well as his own critically acclaimed solo album in 1999, "Euphoria Morning." In addition, he has collaborated with such groups as Alice in Chains and made contributions to other soundtracks. "I've always loved Chris' work, both as a writer and as an artist, and had hoped someday to find the right film to inspire him," said Lia Vollack, President, Worldwide Music for Columbia Pictures. "His music is both soulful and tough. It was the perfect complement to Daniel Craig and Casino Royale." Cornell joins such distinguished performers as Madonna, Sheryl Crow, Paul McCartney & Wings, Carly Simon, Shirley Bassey, Tom Jones, Tina Turner, Gladys Knight, Sheena Easton, Duran Duran and Garbage who have performed title songs for previous James Bond adventures, though he will be among the select few who have both written and performed an "007" title song (others include McCartney & Wings, Crow and Madonna). Other songs were written by composers as varied as Anthony Newley & Leslie Bricusse, Lionel Bart, John Barry, Bono & The Edge and Marvin Hamlisch. Daniel Craig stars as "007" James Bond, the smoothest, sexiest, most lethal agent on Her Majesty's Secret Service in Casino Royale. Based on the first Bond book written by Ian Fleming, the story, which has never been told on film until now, recounts the making of the world's greatest secret agent. James Bond's first "007" mission leads him to Le Chiffre (Mads Mikkelsen), banker to the world's terrorists. In order to stop him, and bring down the terrorist network, Bond must beat Le Chiffre in a high-stakes poker game at Casino Royale. Bond is initially annoyed when a beautiful British Treasury official, Vesper Lynd (Eva Green), is assigned to deliver his stake for the game and watch over the government's money. But, as Bond and Vesper survive a series of lethal attacks by Le Chiffre and his henchmen, a mutual attraction develops leading them both into further danger and events that will shape Bond's life forever. Produced by Michael G. Wilson and Barbara Broccoli (Eon Productions) and directed by Martin Campbell, CASINO ROYALE is scheduled for release November 17, 2006. Principal photography started on January 30th 2006, with locations in the UK, Czech Republic (Prague), Italy, and the Bahamas. It will be British actor Daniel Craig’s first outing as James Bond. He is the sixth actor to play the 007 role in the franchise. The film also stars Judi Dench, Eva Green, Mads Mikkelsen, Jeffrey Wright, Giancarlo Giannini, Caterina Murino, Simon Abkarian, Tobias Menzies, Ivana Milicevic, Clemens Schik, Ludger Pistor, Claudio Santamaria and Isaach de Bankole.